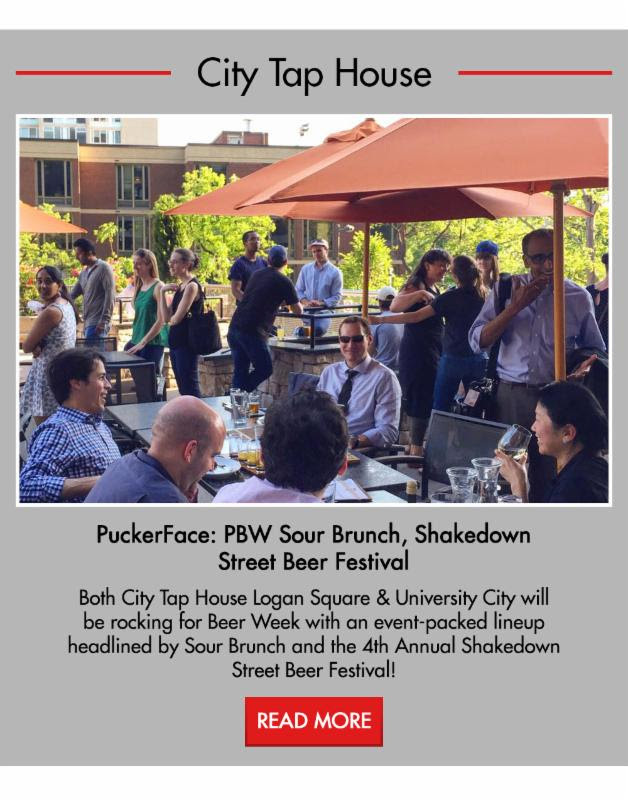 Shakedown Street Beer Festival On Saturday, June 10th from 1-6pm, City Tap House will be celebrating the 4th Annual Shakedown Street Beer Festival at City Tap House University City. Splintered Sunlight, the region’s top Grateful Dead tribute band, anchors a multi band lineup which includes local reggae crew Ear Me Now and Allman/Deac inspire Steal Your Peach. Expect beers from Sierra Nevada, Terrapin Brewing, Fat Heads and more celebrating jam band culture. Craft Vendors are welcome. Giveaways from all the breweries involved, including 2 tickets from Otter Creek to 6/25 Dead & Company Show in Camden and tickets to Sierra Nevada’s Beer Camp event at Washington Crossing on June 18th. There will be french bread pizza & grilled cheese ready for consumption!! The event is free! For more information about the Shakedown Street Beer Festival please Click Here.